Earrings by Elk Accessories. 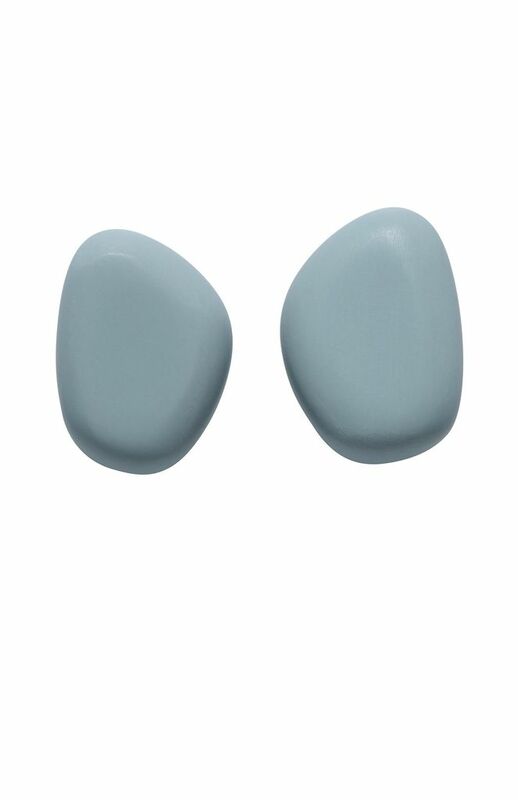 Approximately 1 X 1.5 cms The Pod Stud Resin Earrings have been handmade and shaped into small pebble figures. Curved edges create a pressed finish and subtle cool tonal colours add a pop of colour. A smooth matte finish adds a bit of shine and will compliment many different outfits.